Welcome home to Green Lane Farms! 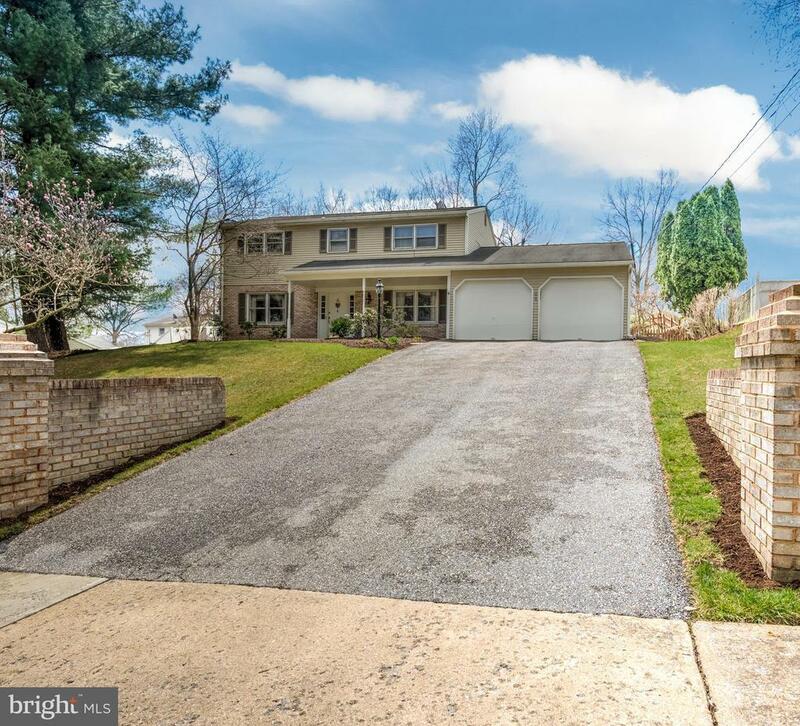 Maintained and loved meticulously by the same owner since 1968, this prominently situated home is sure to excite you from the moment you enter the front door! Over 3200 sq ft of finished living space in this 4 Bedroom, 2.5 Bath home featuring central air, hardwoods throughout and an open floor plan. Living room with recessed lighting, crown molding and built-ins overlooking the 32 x 16 in-ground pool. Sizeable kitchen with granite island overlooks living room and large breakfast area with wood fireplace featuring a brick facade. Generously sized bedrooms, three of which feature hardwood floors. Master bedroom with its own bath. In need of extra living space? Finished basement provides roughly 800 Sqft with additional unfinished storage area. Fenced rear yard is a private paradise. The in-ground pool and generous patio area create a fantastic ambiance for entertainment. Backyard also features fig and peach trees just in case you want a quick snack! Schedule a showing today to make this home yours! Directions: Cedar Cliff Drive to Green Lane Drive. Cross the one lane iron bridge and left on Yellow Breeches Drive (3rd Left after bridge) to home on the right.